Preheat oven to 375°F. Spray a baking dish with cooking spray. Set three wide shallow dishes on the counter. Add flour, salt and pepper to the first, beaten egg and water to the second and panko to the third. Stir Za'atar and 2 tablespoons oil into the panko. Working with one at a time, dredge each cutlet in the bowl of flour, shaking off excess. Dip cutlet into the egg dish and allow any excess to drip back into the bowl. Place cutlet in the third bowl to coat with panko. Press the panko into the cutlet making sure the entire surface is well coated. Transfer to baking dish and repeat with remaining cutlets. Bake 20 to 25 minutes or until chicken is no longer pink in centers (165°F). 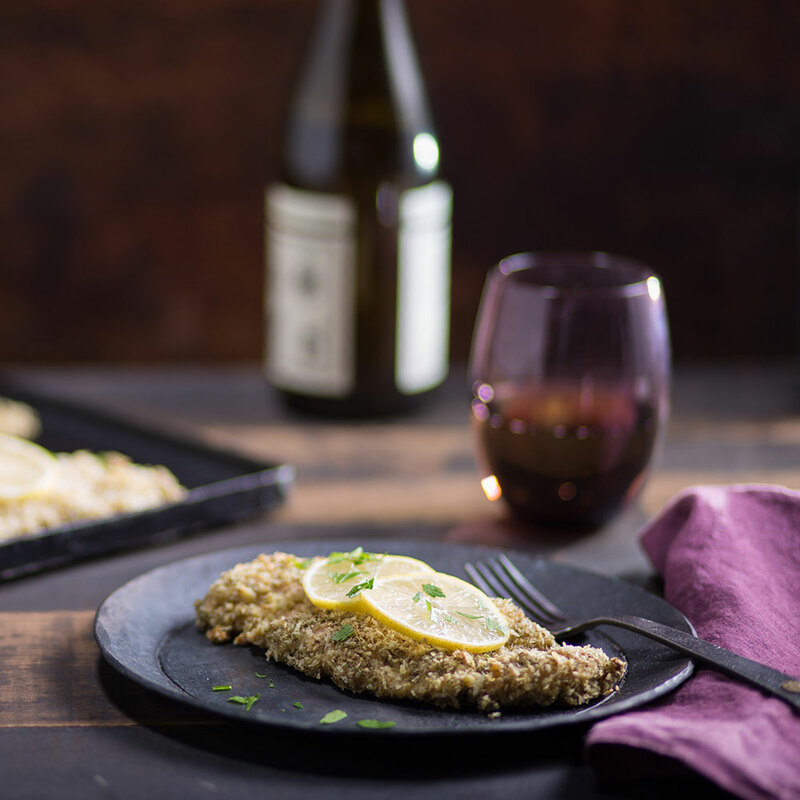 Combine the lemon zest with the parsley and sprinkle evenly over cutlets; serve with lemon wedges.